House Clearance Service In All Areas Adlington Clayton-le-Woods Coppull Croston Eccleston Euxton Whittle-le-Woods. 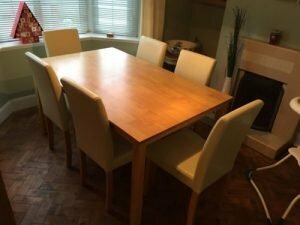 I am looking to get a quote for a small house clearance to be done. There is not a lot of items in the property just the basic household furniture. The house is a small two bedroom and is in Chorley. Please give me a rough idea of the cost. 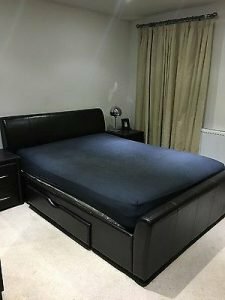 A black faux leather upholstered king size bed frame, with a large storage drawer to either side, together with a king size mattress. 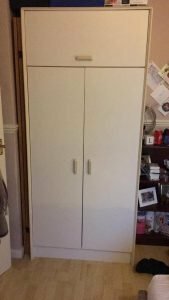 A tall standing white wood double wardrobe, having a lift up shoe shelf to the top. 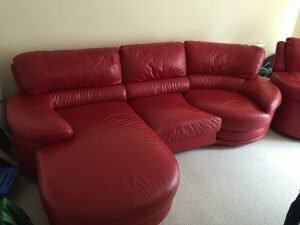 A large four seater high back corner sofa and matching armchair, upholstered in red faux leather. 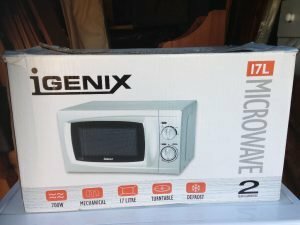 A brand new boxed silver Igenix 17L 20W microwave oven. 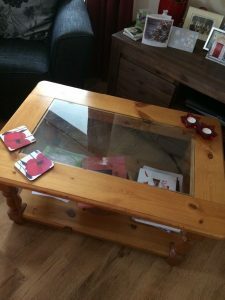 A large rectangular solid pine coffee table, inserted to the top with a large sheet of glass. 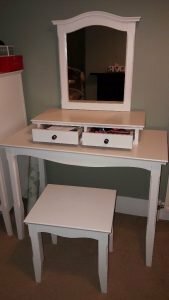 A painted white solid pine vanity dresser, with detachable mirror and square stool. 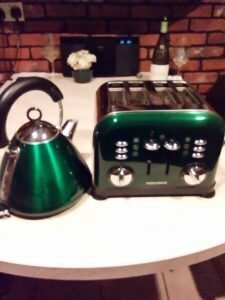 A metallic green and stainless steel Morphy Richards four slice toaster, together with the matching kettle. 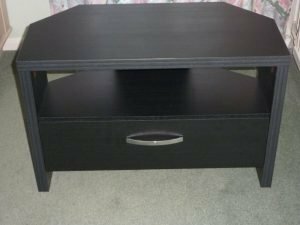 A black wood corner television unit, having shelving area above a large storage drawer. 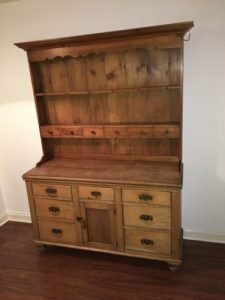 A tall standing solid pine Welsh kitchen dresser on ball feet, having a plate shelf above six small drawers to the top, and three drawers to either side of a central drawer above a cupboard to the bottom. 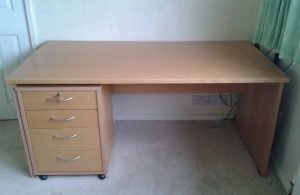 A large solid wood desk, together with a matching chest of four filing drawers, on castors. 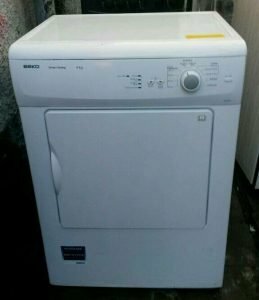 A white Beko 6kg vented under counter tumble dryer. 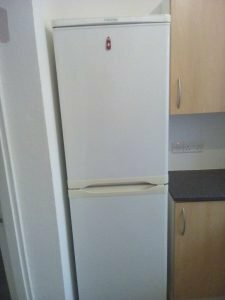 A white tall standing Electroluk two door fridge freezer. 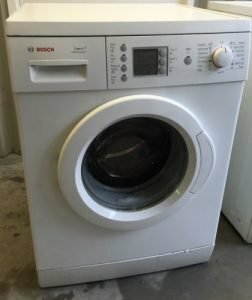 A white Bosck Excel 7kg under counter washing machine. 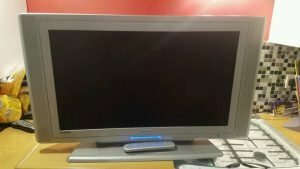 A silver 32 inch flat screen HD television. 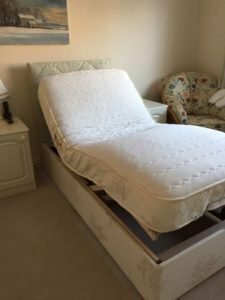 A single cream adjustable reclining electric bed and matching mattress.